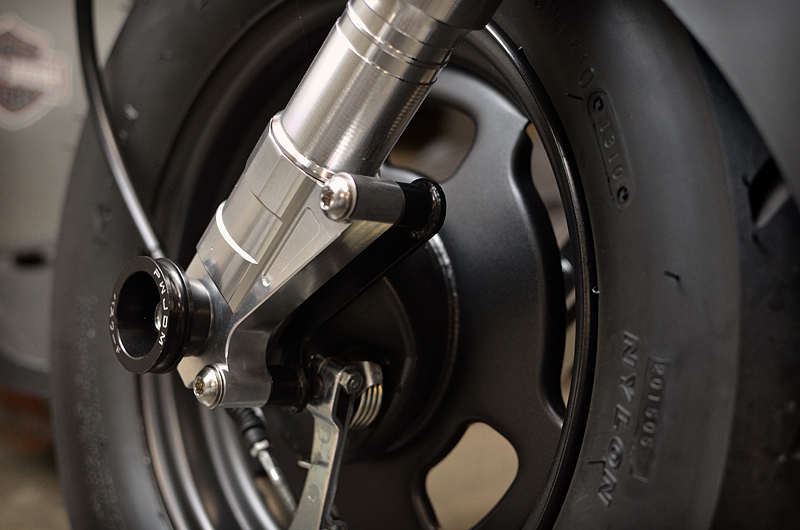 Run disc brake forks for the Honda Ruckus w/o the need for expensive wheels or disc brakes. This simple bolt-on includes bracket, fork bushings, wheel spacer and stainless hardware. Please note: Unlike this import knock-offs, all of our barrels are CNC turned, and provide a far greater fitment that the cheaper cut-stock imitations.